Are you looking for a mortgage loan? We will be glad to assist you! Give us a call today at 901-674-8593. Ready to begin? Apply Online Now. Ever heard the old rule of thumb that states you should only consider refinancing if the new interest rate is at least 2 points lower than your present rate? Maybe several years ago that was good advice, but since refinance costs have been falling recently, it may be a good time to take a serious look. A refinance is often worth its cost several times over, because of the benefits that can come, in addition to a reduced interest rate. You might be able to lower your interest rate (sometimes substantially) and reduce your monthly payment amount with a refinanced mortgage loan. You also could be given the option of tapping into your home equity by "cashing out" a sum of money to remodel your home, consolidate debt, or take your family on a vacation. With reduced interest rates, you might also be able to build your home equity more quickly by moving to a shorter term loan. 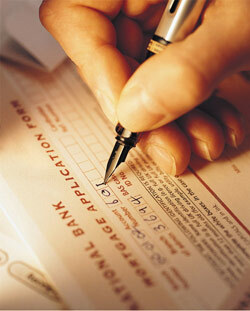 Of course, you will have some fees and expenses during the process of refinancing. You'll be charged the same types of expenses and fees as you did with your existing mortgage loan. These can include settlement costs, appraisal fees, lender's title insurance, underwriting fees, and so on. Paying points can result in a better interest rate. The amount you'll save on the life of the mortgage might be significant if you have paid up front about 3% of the new loan balance. Please consult with a tax professional before acting on rumors that any paid points can be deducted on your federal income taxes. One more expense that borrowers might consider is that a reduced rate of interest will reduce the interest amount you will be able to deduct from your federal income taxes. We can help you do the math! Call us at 901-674-8593. Ultimately, for most borrowers the total of initial costs to refinance are made up very quickly in savings each month. We'll help you find out what mortgage program is ideal for you, taking into account your cash on hand, how likely you are to sell your residence in the next few years, and what effect refinancing will probably have on your taxes. Call us at 901-674-8593 to get started. Want to know more about refinancing your home? Give us a call: 901-674-8593.